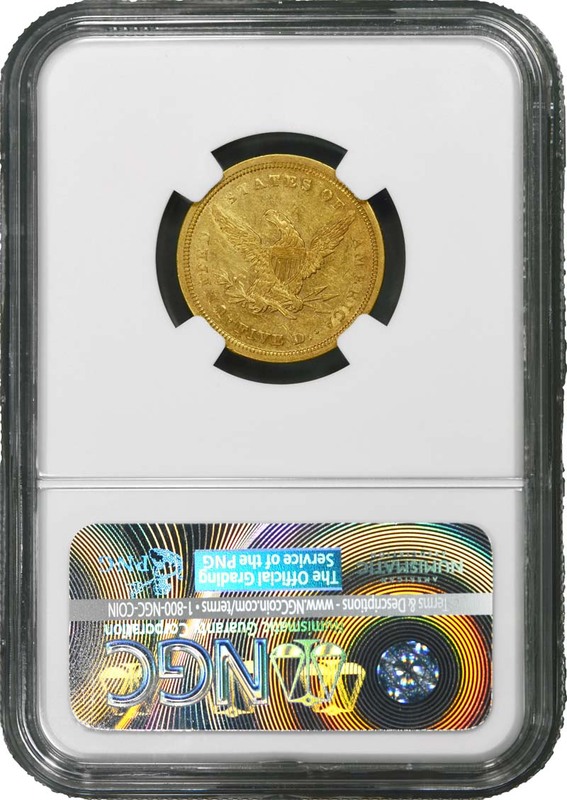 Being the first quarter eagle from the Dahlonega Mint makes this issue extremely popular. Also, this is the only example of the Classic Head type from this desirable Southern mint. 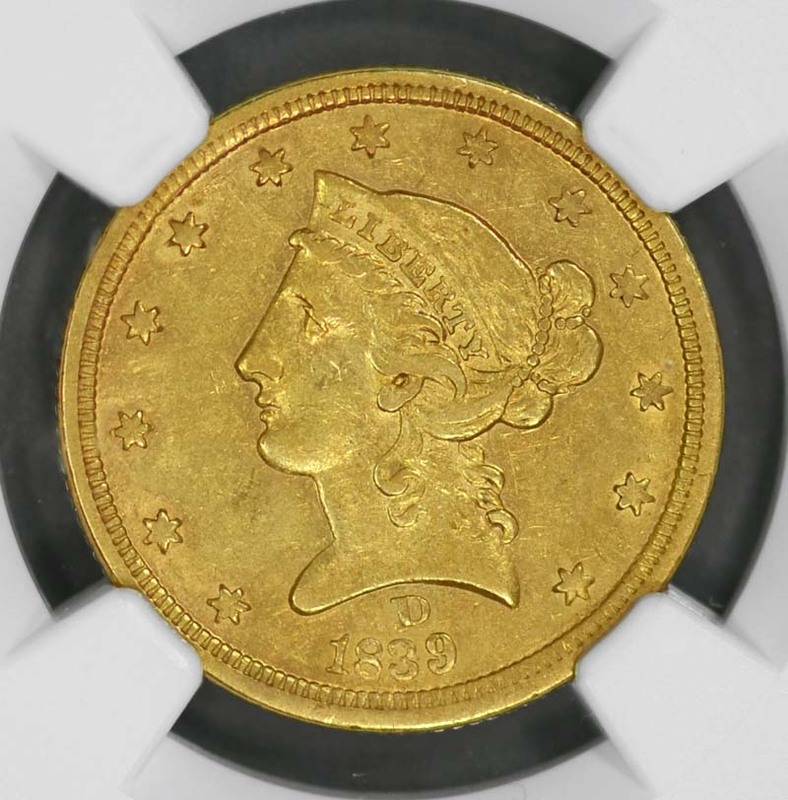 Although not as rare as the elusive 1838-C quarter eagle, the 1839-D issue is still a difficult date to locate. 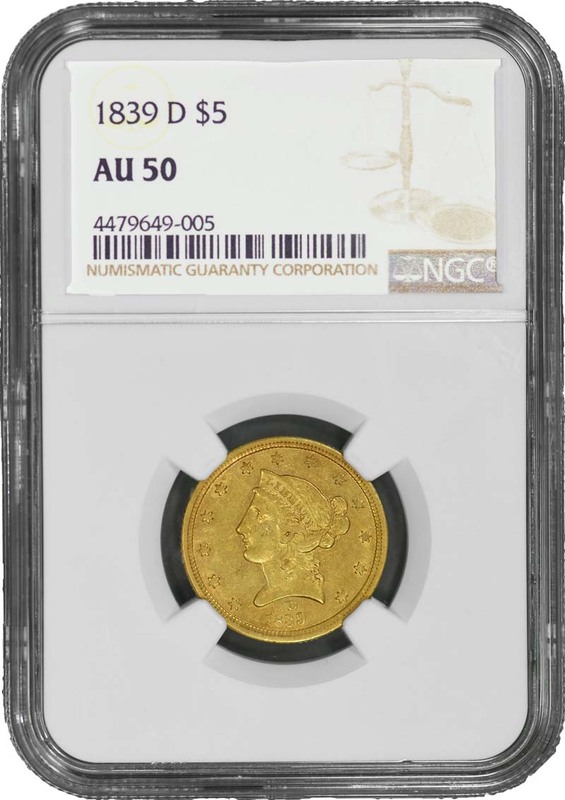 Most examples survive in circulated condition, but nice About Uncirculated examples can be found with a little luck and money. 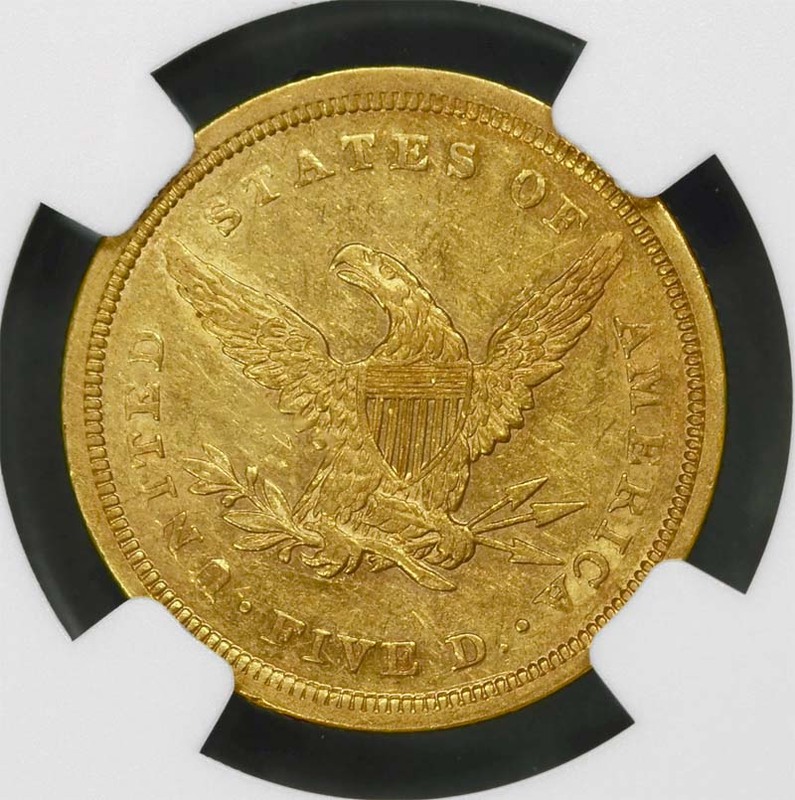 Uncirculated examples were once considered extreme rarities, but modern population reports indicate that at least two dozen Mint State examples are known, including three MS-64 examples. A record price of $37,950 was set by the Bass MS-63 coin in 1999 (the coin would be worth much more today). The last digit of the date on the 1839-D quarter eagle has been re-cut and appears to be an overdate, but this is incorrect. In fact, many references in the past refer to the issue as 1839/8. This should not be confused as a separate variety for the year.